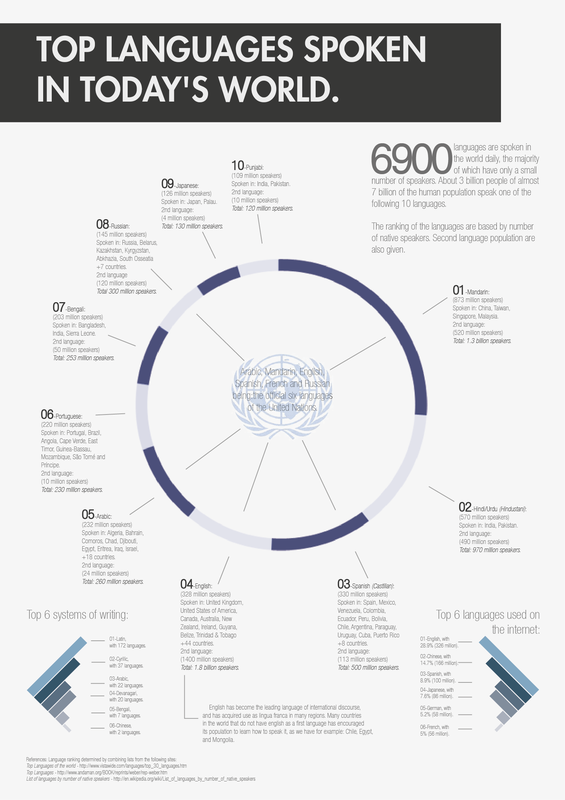 Infographic displaying the top spoken languages in today’s world. Something that should definitely be taking into account when designing a new website, creating an online business, or simply expanding or updating your current website/business. This simply proves adding languages creates more opportunity. Makes you wonder how long before Mandarin overtakes English as the default international language for business. Some surprising results! This will be useful when thinking about the spread & change of languages in the next 10 years. Great post!